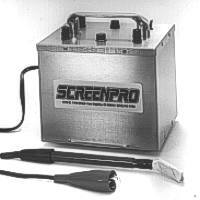 Screen reclaiming, washing, and weld cleaning equipment from Screenpro. Please click on the icons to the right of each product description for detailed information-Thank You! 24" x 36" to 80" x 180". High-speed automatic reclaimers will degrease, develop, remove emulsion and ghost images quickly and automatically in a self-contained cabinet. Six models available from 24" x 36" to 80" x 180". This affordable large screen reclaimer will remove the emulsion and ghost image from any large screen regardless of the height or length without the need of any labor. Clean liquids or solvents anytime, anywhere! And do it faster and safer than ever before! When you need more than just a filter. All Screenpro Safety Solvents are non-toxic, non-flammable, water soluble, bio-degradable and drain safe. Screenpro manufactures safety solvents to remove plastisol, vinyl, UV, epoxy, solder mask, legend inks, and many more. Why rent, when you can own your own wash out sink and stop making the monthly payments to a service company. 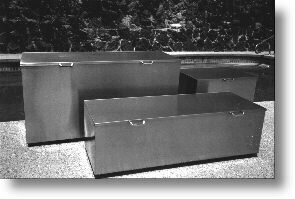 All Screenpro safety sinks are manufactured out of stainless steel for a lifetime of dependable service. Custom designed from stainless steel. Screenpro will design and build a wash-out sink or booth to meet your needs. Closed-loop recirculation and filtration are available on all wash-out booths and sinks. This sturdy steel container will protect your delicate lounge pads from dust, rain, mildew, evening dew, snow, and sun fading. Remove the black and blue discoloration generated from Heli-arc or Tig welding in seconds. Cleans 6' per minute and inside square corners in only 10 seconds. A high-speed powerful surfacer that will quickly sand, grind or polish any length tube or pipe from 3 to 20 inches. Convert mill finish pipes to a number 4 or number 6 finish in minutes with this versatile machine. This 8" x 36" vessel has a larger filter bag for longer running times between filter cleanings. Filter bags are available in all micron ratings with customized inlets and outlets located as required. This safety solvent is strong enough to strip paint and yet safe enough to spray in your eyes. This high-tech cleaner is non-toxic, non-flammable, biodegradable, water soluble, and drain safe. Printing press, wash out booth, clothing racks, and other quality used equipment. 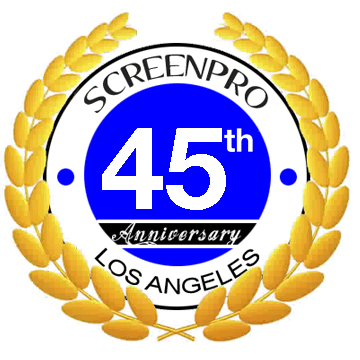 Copyright � 2015 ScreenPro, Inc. All rights reserved.